L'album preferito dalla critica, uscito nel 1986, port� gli Smiths all'apice della loro carriera. Il duo Morrissey/Marr sembrava non poter produrre altro che il massimo della qualit�. The Hated Salford Ensemble, citato all'interno dell'album � naturalmente Johnny Marr stesso, che ha arrangiato gli archi al sintetizzatore in quest'album. In seguito si accrediter� come "Orchestrazia Ardwick" in Strangeways, Here We Come, dal nome di una zona di Manchester. 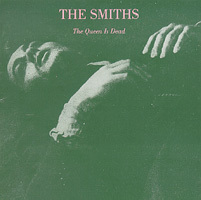 The music critics' favourite, this 1986 album caught The Smiths, in many ways, at their peak. The songwriting duo Morrissey and Johnny Marr seemed to be able to produce nothing but quality. The Hated Salford Ensemble is, of course, Johnny Marr, who arranged the synth strings on this album, and later credited himself as "Orchestrazia Ardwick" on Strangeways, Here We Come, after another area of Manchester.